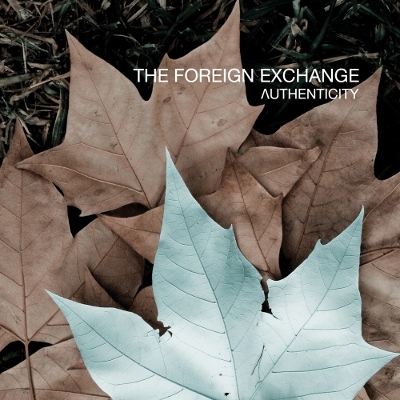 Three albums deep, the Foreign Exchange has established its formula. Phonte Coleman sings yearning melodies; Nicolay produces contemporary soul with a hint of New Age and jazz-fusion. On Authenticity, Phonte continues to improve as a vocalist, breathily cooing “Fight for Love” with confidence, and holding his own with guests like Muhsinah (“Laughing At Your Plans”) and Yahzarah (“This City Ain’t The Same Without You”). Meanwhile, Nicolay remains an inventive producer, inflecting his smooth tracks with small touches like twangy guitar and emphatic piano notes without losing focus of Authenticity’s dreamy mood. This entry was posted in Reviews, Short Cuts and tagged Foreign Exchange, Foreign Exchange Music, Rhapsody. Bookmark the permalink.